A League Sponsor will enjoy exposure and association with the Junior League of Jacksonville during our largest event, Whale of a Sale, and opportunities to reach our approximately 1,000 members. 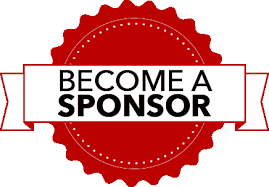 Custom sponsorship levels are also available for any sponsor who wants to support the multiple leadership trainings and social events held for our members each year. Opportunities for exclusive rights on sponsorship levels are available as well. We aim to make your sponsorship experience as meaningful and beneficial to you as possible. Click here to review our sponsorship packet.